Share the post "Fat Is Your Friend: Four Ways to Add Healthy Fat To Your Diet"
Fat has been a bad word in the world of food for a while now. Everyone is quite afraid of consuming fat for fear of becoming fat. But the thing is, fat doesn’t make you fat. Seriously. You NEED fat. Fat gives you energy and keeps you satisfied. And some fatty foods that were once deemed unhealthy contain important nutrients. Other nutrients are fat soluble and therefore need to be consumed with fats for your body to absorb them. This doesn’t mean you should fill your grocery list app with every package of food with a high fat content and chow down. Not all fat is created equal and high calories and high sugar still can make you fat. There are excellent sources of healthy fats that you should add to your diet. 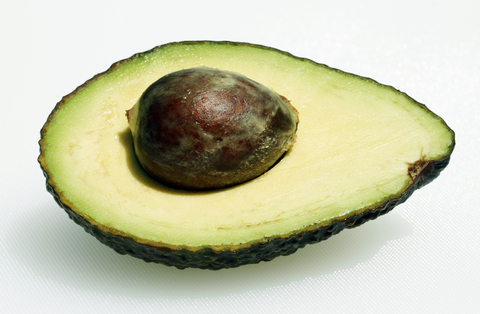 Avocado is a powerhouse food. They are high in vitamin E, folate, lutein and monounsaturated fats. They are loaded with healthy fats and can easily be added to many meals. People often think avocado = guacamole but there is so much more you can do with them. Why limit yourself to an occasional side dish? There are recipes for an amazing chocolate pudding made with simple ingredients, including avocado. You can blend them into a fruit smoothie to add creaminess and you won’t even taste the avocado. But the truth is, you WANT to taste avocado, at least sometimes. It’s so delicious. Add it to a salad and it will help you absorb the nutrients from that salad better than you would without the avocado. Coconut oil can be substituted for other oils or fats in baking and can be used to saute foods. You can also add it to smoothies or your morning coffee. Some people like to just take a spoonful every day. If you are not a fan of coconut flavor you can get the kind marked “refined”. It has no hint of coconut flavor to it while “unrefined does. It can be found at most grocery stores either with the other oils or in the natural foods section. You know how the big health thing is egg whites? Everyone starts whipping up egg white omelets the minute they want to lose weight. Maybe you like egg whites but me, I find them quite bland and boring. And don’t stress about the cholesterol either. More and more studies are showing that consuming these nutrient-dense foods, that also have high cholesterol, does not increase your own cholesterol levels and in fact is important for balancing hormones. Go ahead and add eggs to your shopping app so you don’t forget them. But it might be best to skip the grocery store eggs. Find a local farmer or neighbor who gathers eggs from pastured chickens and your eggs’ nutrition level increases immensely. There it is. You were wondering if you would see butter on this list. You probably hoped but thought is was too good to be true that butter would be good for you. Guess what? It is. But the important thing to note with butter is the source. The most ideal type of butter to consume is raw butter from grass-fed cows. That will be the most nutrient dense and full of healthiest fats, not to mention the most delicious. Unfortunately, I don’t have easy access to that so I get pasteurized (not raw) grass-fed butter. It tastes AMAZING. Sometimes I try to find things to eat that I can put butter on or in. Usually that means my body needs that fantastic fat so I’m craving it. Please don’t think because you are having a hard time finding (or affording) grass-fed or raw butter that you should skip butter. Standard, everyday butter that you see at the grocery store is still better than butter substitutes which are loaded with hormone disrupting chemicals. So now you know 4 fantastic and easy sources of healthy fats. 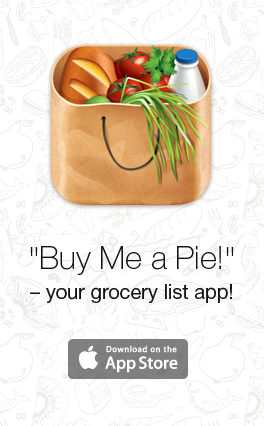 Add them to your grocery list app now so you don’t forget a single one. You’ll begin to feel more satisfied and energized before you know it!